Prices for the most part, have stabilized and, in some markets, are actually showing mild appreciation. However, I believe foreclosures and short sales will increase more dramatically as we begin 2014. 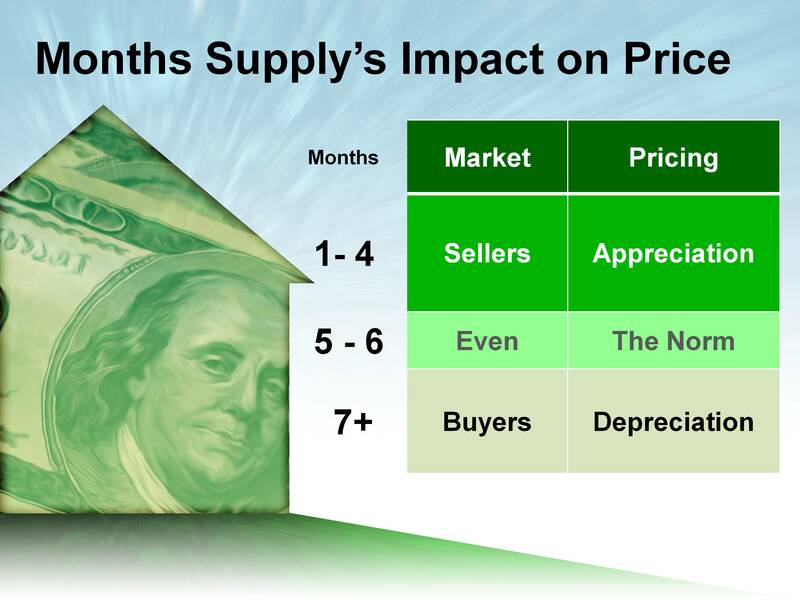 In our area, there are 11 months supply of inventory on the market. The norm as you can see by the chart is 5-6 months. In many parts of the country, existing housing inventory has dropped to historic norms in the last few months. However, an inventory of distressed properties (foreclosures and short sales) will be coming to market this year. This inventory has been delayed for over a year as the Federal and state governments crafted an agreement with the five largest banks and mortgage servicers to establish a roadmap for how a foreclosure must be properly completed. That agreement, the National Mortgage Settlement, was reached two weeks ago. 2. It will impact the appraisal values of all homes in the area. Click here to sign up for Listing Alerts!